Much of the book is loosely based on experiences of racism in Monroeville, Alabama. Nelle Harper Lee wrote and published To Kill a Mockingbird, winning the Pulitzer in 1961, along with many other awards, later becoming an international bestseller, and ultimately a classic in American literature. Much of the book is loosely based on her experiences of racism in her hometown of Monroeville, Alabama, where she was the daughter of a lawyer. Even several characters of her novel are named after her mother Frances Cunningham Finch, and the young boy named Dill in the novel is further based on her childhood friend Truman Capote. In 1962, the book was made into a movie with Gregory Peck. What strikes me most about this novel is that it becomes political without trying to, and it’s an easy reminder of Harriet Beecher Stowe’s novel Uncle Tom’s Cabin that changed the course of American history (some claiming her book started the Civil War). Nevertheless, To Kill a Mockingbird did have a tremendous impact on race relations in the United States, and librarians recently voted it the best novel of the twentieth century. What I liked most about it is the nostalgia of home it brings for me. Lightning bugs. Crazy old aunts and neighbors. Growing up with older siblings. Porch swings. Mystery during childhood. Trying to understand a far bigger and greater world than we can ever come to know. And the small town feeling that is becoming lost in America. 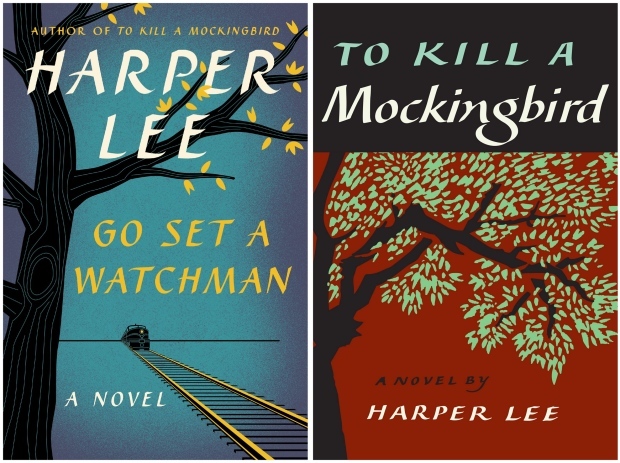 Harper Lee did in fact write a great American novel, and rightly so it has lasted, and will last several more generations. How can one not love Atticus: “Simply because we were licked a hundred years before we started is no reason for us not to try to win” (pg 87). Also the origin of the title: ‘That was the only time I ever heard Atticus say it was a sin to do something, and I asked Miss Maudie about it. So shall you sing your heart out. To Kill a Mockingbird is a very strong recommend, and I pray for all to have a chance to experience such a beautiful story. To Kill A Mockingbird is still one of my favorite classical literature books. I first read this book as part of my CXC syllabus in high school (for non-Caribbean readers, that equivalent to GCSE O levels). The following review highlights the major points that Harper Lee wanted to convey with her novel. This is even more relevant in today’s society and especially calls to mind the Trayvon Martin/Zimmermans trial. Racism is still alive and well. web page, it consists of precious Information. Wow, this post is pleasant, my sister is analyzing such things, so I am going to convey her. I’d most certainly donate to this brilliant blog! means understand. It seems too complex and very large for me. Hi my loved one! I wish to say that this article is awesome, nice written and come with approximately all vital infos. Appreciation to my father who shared with me concerning this blog, this blog is genuinely remarkable.